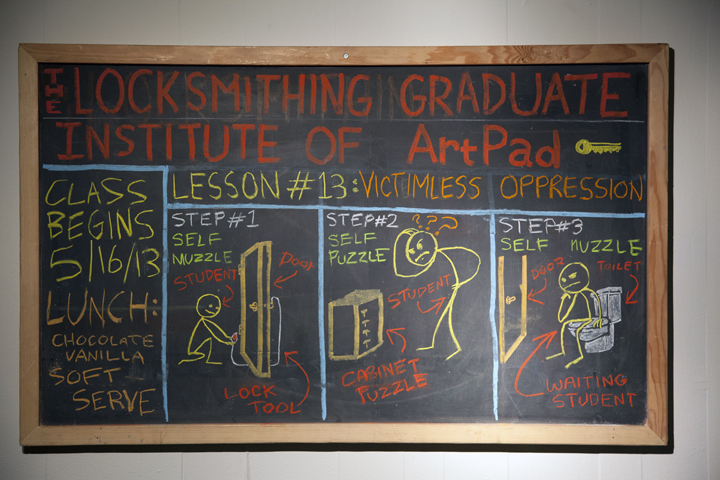 The faculty and staff of The Locksmithing Graduate Institute are pleased to announce San Francisco first Locksmithing Graduate Institute class in almost 5 years. In Lesson #13: Victimless Oppression; Self-Muzzle, Self-Puzzle, Self-Nuzzle students will first be taught how to open a lever lock without using a key. Next they will be required to crack open a safe that has no lock. And, lastly each student that chooses to participate will be given the chance to reflect quietly in isolation.